Thank you again to Monsieur LaMoe for filling in for me last week. Arata lent his clothes for Shinobu to wear and also his phone to use? I think it’s obvious what the ships are now. And the suspense is finally over. We will see Arata in action! 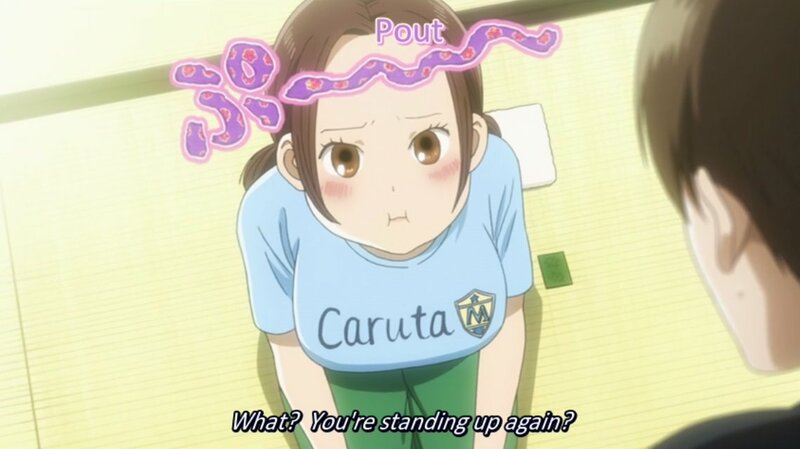 Maybe by episode thirteen ~_~ For the moment, Desktomu-kun has the stage and he’s dazzling the audience. 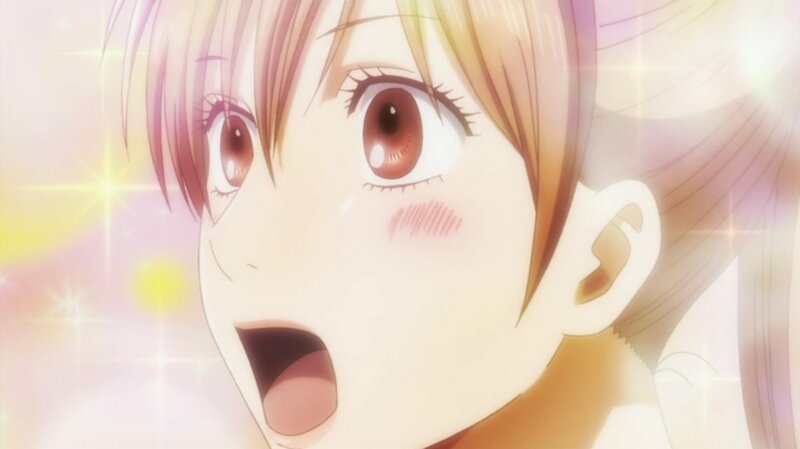 The storytelling prowess of Chihayafuru reminds me of Fujishima-san. In one swift motion on Porky-kun’s part in snatching away the notebook, the viewer witnessed an unexpected unfolding of events like a bolt of lightning in calm weather. Porky does raise a valid point. To compete at the highest level in any sport (karuta is a sport =P), one needs to possess the drive to win constantly. It is incredibly easy to get lazy. This wouldn’t be anime of the year, or century for that matter, if it didn’t add a twist. Desktomu admitted himself later that he find playing matches a daunting endeavor but in the context of a team, we see his tremendous efforts in scouting opponents demonstrate his desire to win. It may be an indirect role but just as crucial. All of this makes me wonder about what it means to win. To this end, I am glad and proud that Taichi chose to rank Chihaya third in Hokuo fashion. It’s part of the strategy to mismatch players but how can one be the best without beating the best? Jordan has been known to reveal his plans to his defenders beforehand and still execute. Beyond simply winning, what does success entail? 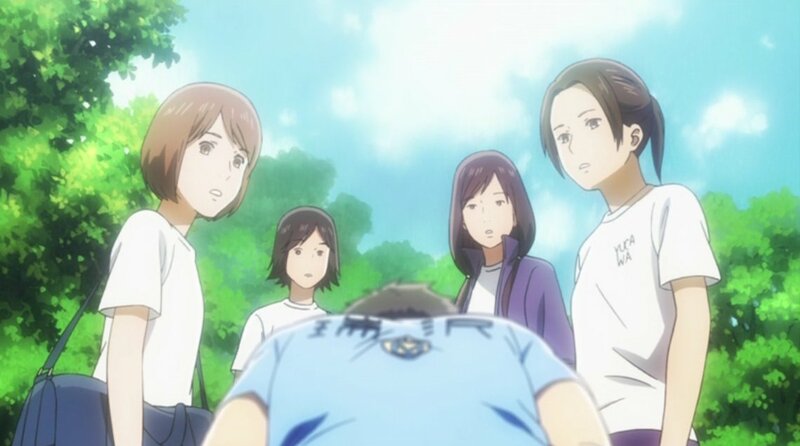 As good as the Mizusawa players are, they benefited from exhaustive research from a supporting teammate. Each one of us can develop a skill to an exceptional level but rarely in life is that enough to achieve a goal, especially one of a highly competitive nature. This is something that makes the wait for the history between Arata and Shinobu even more promising. This expression. I can’t even. Yeah, Desktomu-kun is really cool. Even Porky-kun gets moved by his data collection ability. a focus for the viewers to visit the website, that’s what this web page is providing.